Ear surgery at the Chesapeake Center for Cosmetic and Plastic Surgery includes set-back for prominent ears, removal of keloids from earlobes, closure of gauged holes and repair of split earlobes from earring tears. Children and adults alike who suffer the embarrassment of prominent ears can see a remarkable difference when the ear surgery is performed toset back closer to the head. 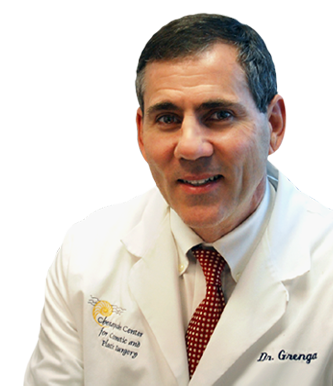 Dr. Grenga may reshape the soft skeleton of the ear to create a more natural, balanced look for those who suffer from this congenital disturbance of ear growth. Ladies with split earlobes can once again wear their favorite earrings once the torn part is repaired by ear surgery at Dr. Grenga’s office. One or both sides can be repaired by ear surgery during your lunch hour… back to work in under an hour. If you suffer from a keloid scar where your ear has been pierced, let Dr. Grenga show you what can be done to remove this bothersome lump and restore, where possible, your ability to wear earrings again. Ear set-back surgery is also called otoplasty. 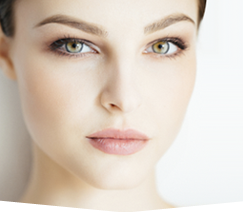 This procedure is performed to reshape the ears. This young man’s before and after ear set-back (upper right photos) is shown in these photos. This young lady (lower left) has had her ear surgery procedure under local anesthetic. Notice how more balanced the shape of the ears are after her otoplasty procedure. Not all ears develop evenly. Some degree of asymmetry exists in many individual’s ears and often these differences persist into adulthood. Ear setback surgery setback can even out the positions of the prominent ears. If you would like to know more about ear surgery whether it be setback, split earlobe repair or gauged earlobe closure, contact the Chesapeake Center for Cosmtic and Plastic Surgery today. You can contact us on line or simply call 757-673-5900. Learn more about Ear Surgery here.